Carolina Brick and Materials Company is North and South Carolina’s premier brick distributor. Eric McComb, a Charlotte NC native, founded Carolina Brick & Materials in 1998. He knows the importance of serving our customers within the community at the highest level. His passion for the industry, as well as making the customer the central focus, has driven the growth of this family owned business to be the longest standing, full service masonry and hardscape supplier in the region. 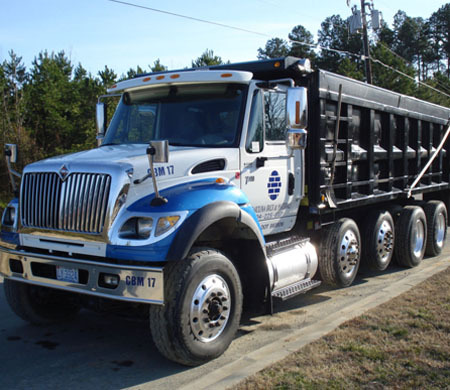 Carolina Brick has benefited from continued expansion with our loyal customer base; now boasting the largest modern delivery fleet in the two Carolina’s. This expansive fleet is critical in delivering the materials from the largest inventory stock of major manufacturers in the area. We have the most knowledgeable, experienced and friendly staff of any competitor. To better serve our large and diverse customer base, we also have staff members that speak Spanish. Our sole purpose is to serve our customers at the highest level every single day.